CWanamaker is an engineer, thinker, and philosopher ready to explore all facets of life. How much smaller (physically) did the room get when the paint was applied? Why did the room feel smaller? What Is the Thickness of Paint? 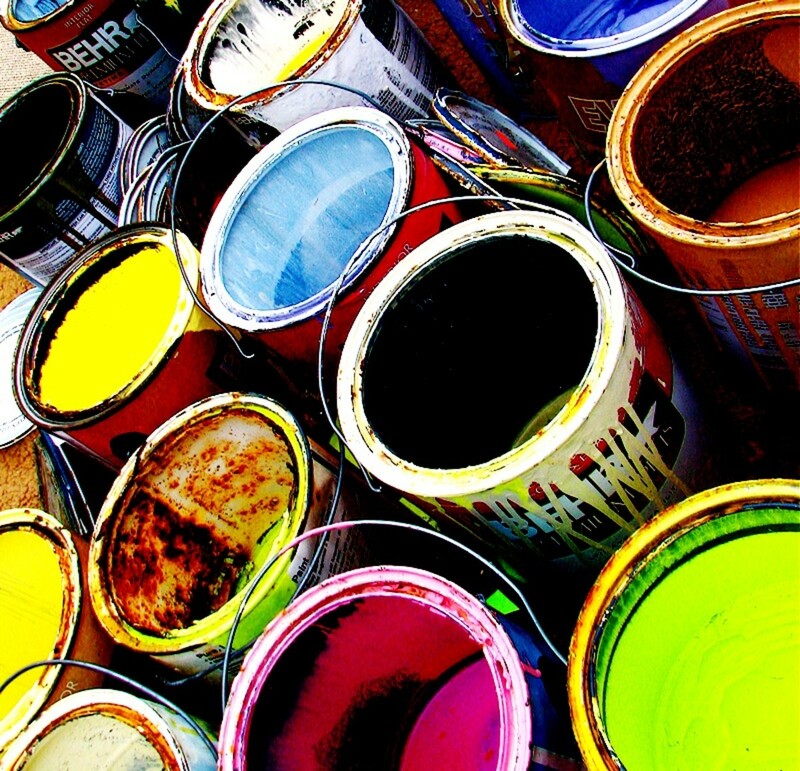 With literally thousands of different types and brands of paint, it's difficult to determine a single value for the average thickness of dried paint. 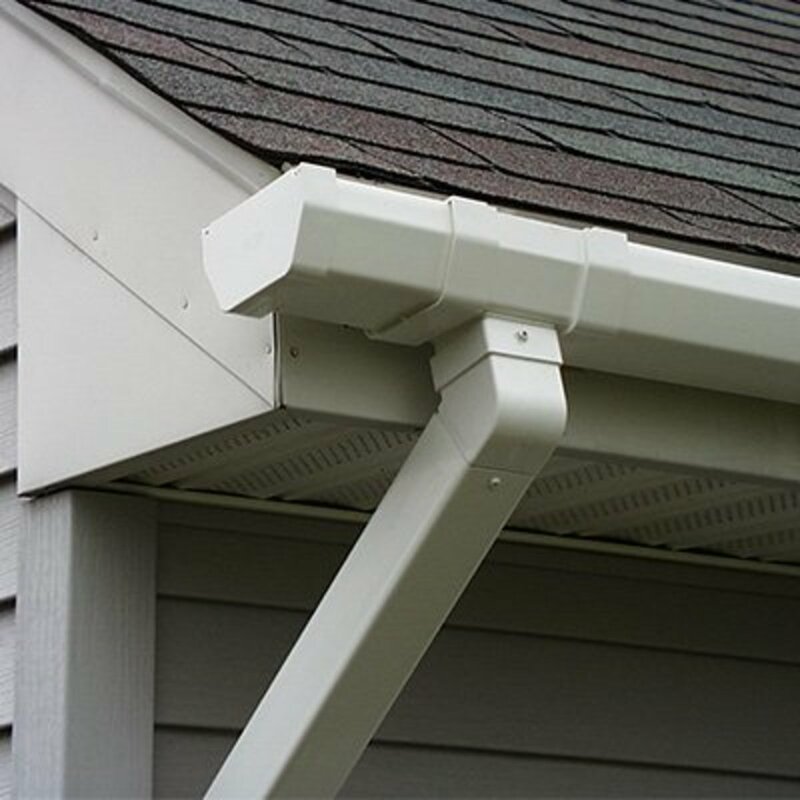 In general, there are two types of residential paints available to the consumer: oil-based and water-based. Then there are exterior and interior paints. 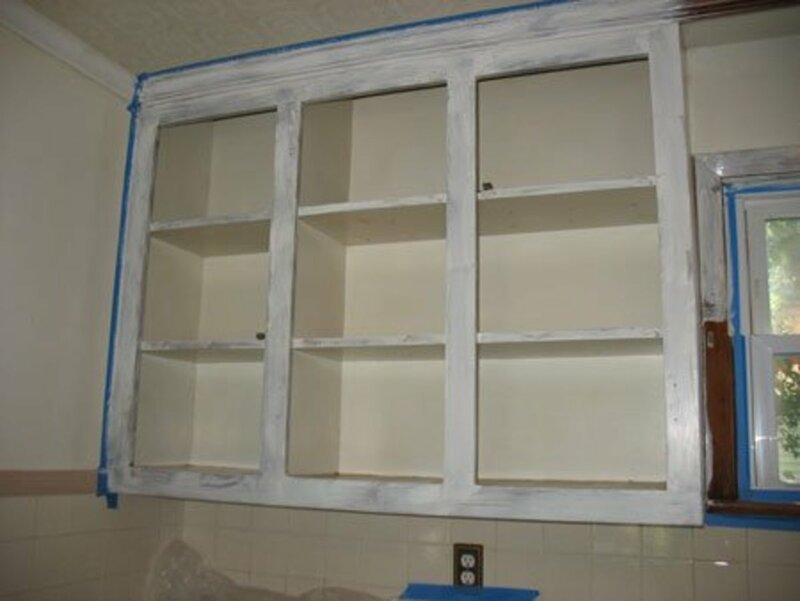 There are also generally 5 different finishes (or sheens) that the paint can come in: flat, eggshell, satin, semi-gloss, and gloss. 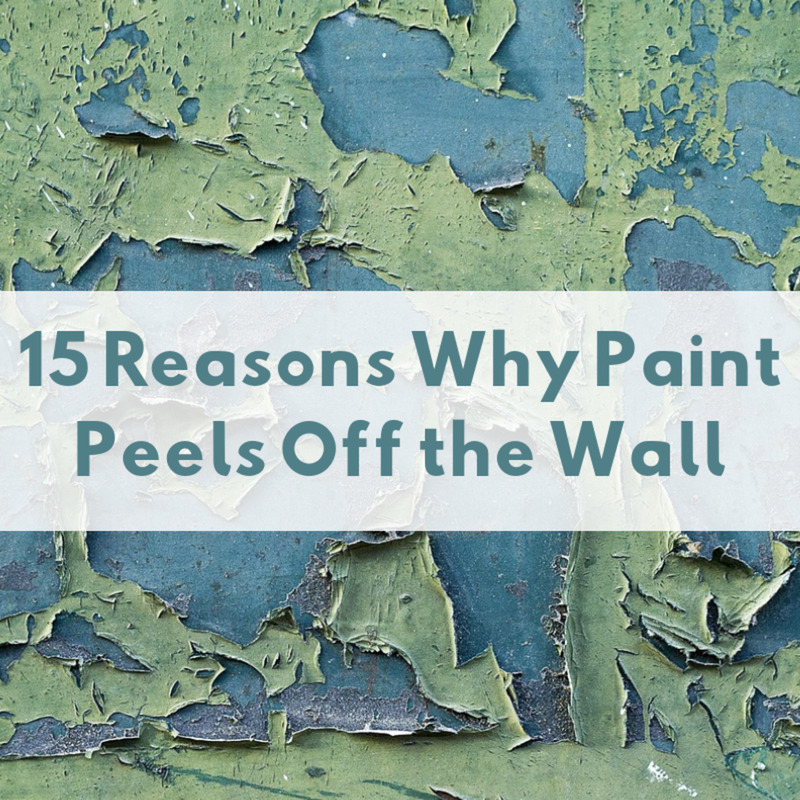 In addition to this, the thickness of the paint also depends on its age, whether the wall is primed or not, how you actually apply it to the wall, and, obviously, how many coats of you apply. Given that paint coverage generally ranges from 250ft2 to 400ft2, the thickness would also vary from 0.101mm to 0.162mm. Based on my research and my calculations, the average paint thickness for new interior water-based paint is 0.132mm. This is the number I will use in my analysis later on in this article. 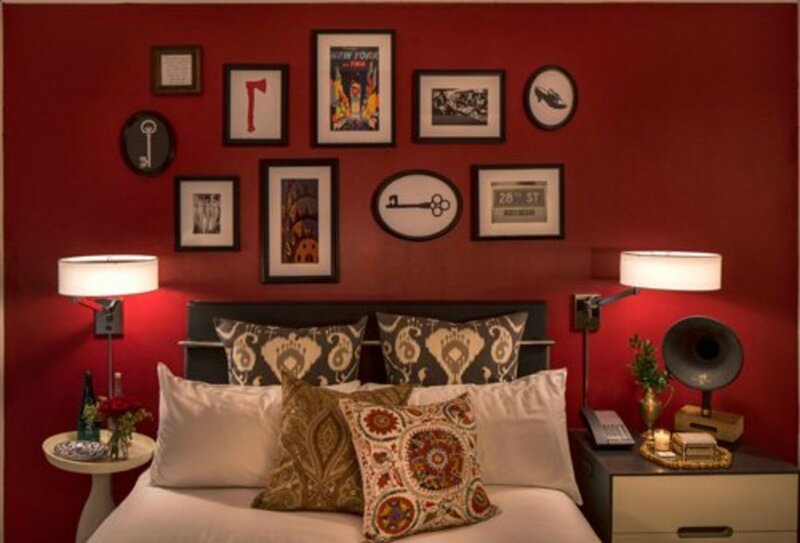 Can Color Influence a Room's Size? 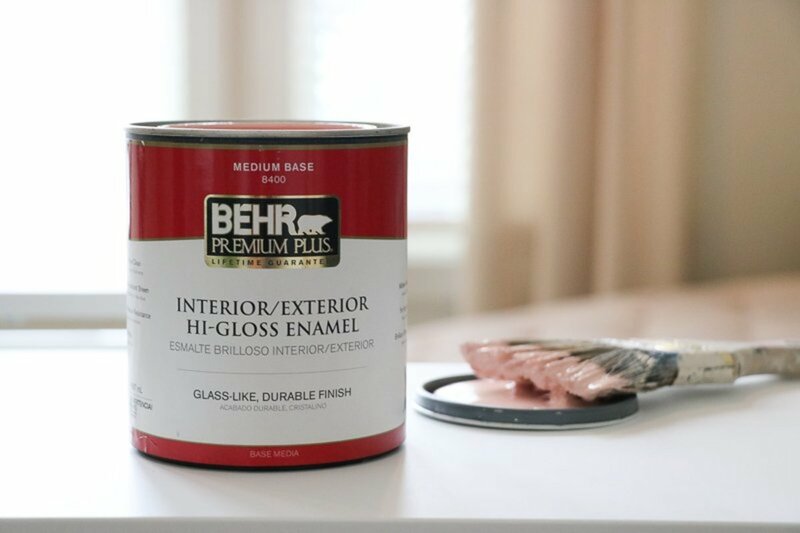 When painting a room, it's obvious that the choice of color is a major decision. 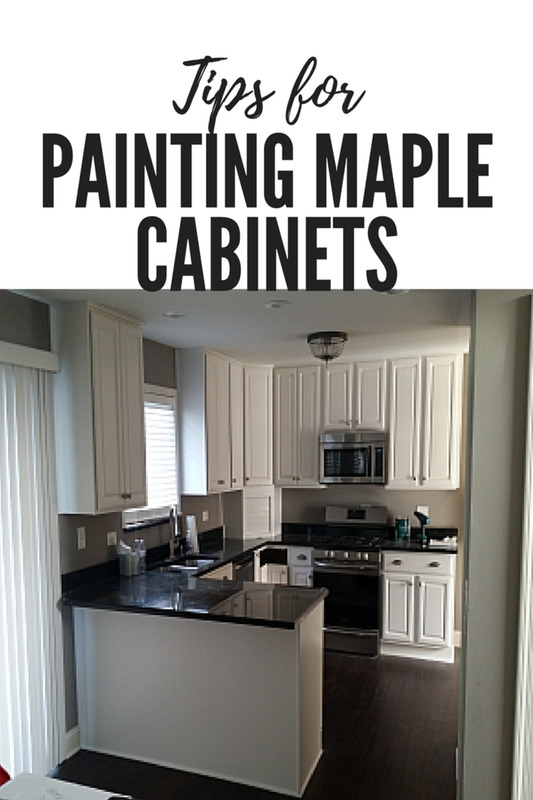 Choosing the right color is not often that easy and may require taking samples and test painting certain areas. Wall color is probably one of the most important factors in determining what the overall tone and feel of a room is (does it feel like home or like a dungeon, etc.). It's also a factor that influences how well you sleep, your mood when you wake up, and even how often a couple gets intimate. 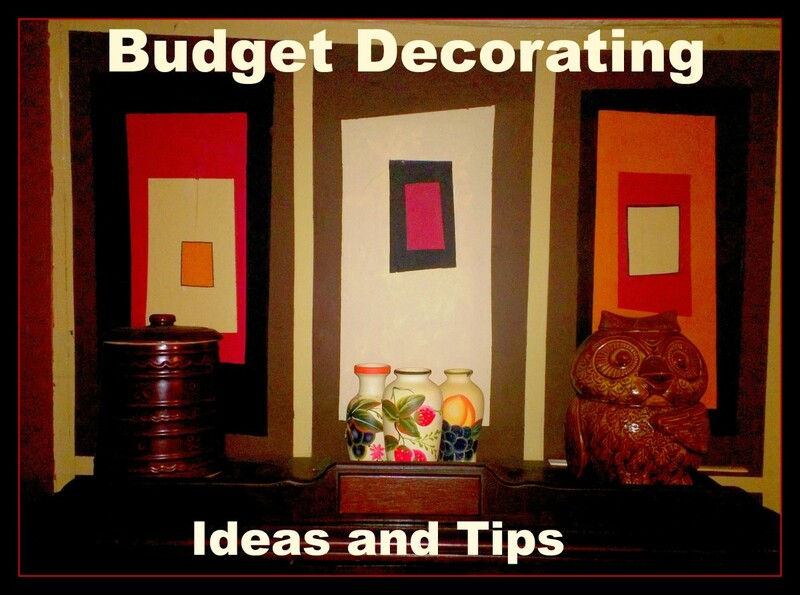 Moreover, wall colors can greatly influence how big or small a room feels when you are in it. Based on my research regarding colors, it's generally accepted that the darker the color of the walls, the smaller the room will feel. Since how people see and feel things is different for everyone, the "size" of a room based on color is subjective and it cannot easily be quantified. This conclusion is in line with what I felt when I looked at my daughter's finished room. The bright pink room did indeed feel somewhat smaller than when it was white. Now that we know all about paint and colors, I wanted to see how much smaller her room became because I painted it. Unfortunately, I did not keep track of the exact amount of paint I used when I painted my daughter's room. I also spilled some like an idiot. Therefore, I will have to use the average paint thickness value I computed above to determine the physical difference in size that the room underwent during the color change. At right is the floor plan of my daughter's room. 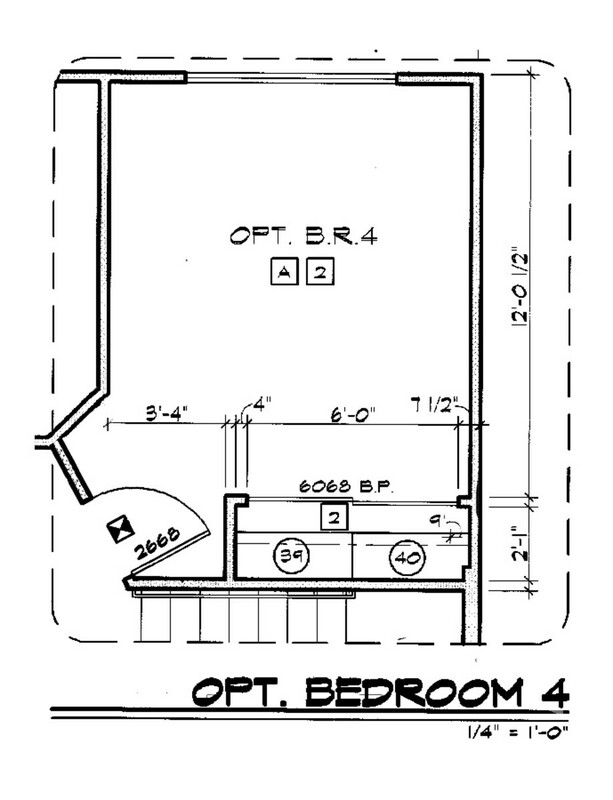 The actual measurements of the room are slightly different than those shown on the plan. The ceiling height of the room is 96 inches. Subtracting 2 inches for the floor trim, the height of the wall that was painted was actually 94 inches. Based on this information, I covered 293sqft of wall area in pink paint. This means that the room lost approximately 219 cubic inches (or 0.127ft3) of volume simply by painting it. My wife didn't quite like the amount of pink in the room and decided to cover the bottom half of the walls with a denim wallpaper (meaning that she decided that I had to do it). The denim wallpaper rose to a height of 36 inches and therefore covered 120sqft. Using a micrometer, I measured the thickness of the wallpaper to be 0.28mm. This means that the room lost an additional 190.5 cubic inches (or 0.110ft3) of volume because of the wallpaper. In total, the room lost 409.5 cubic inches of space (or about 0.237ft3) of volume because of the wall coverings. That's actually quite a bit of space! This amount of space is nearly equivalent to the volume of three average-sized domestic cats! 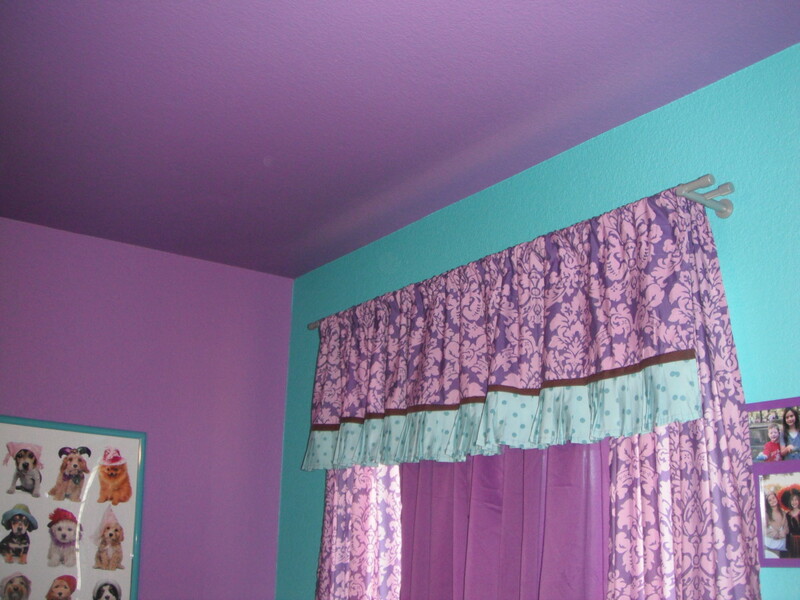 So it's interesting to think that my daughter's room did get smaller when I painted (and wallpapered) it. 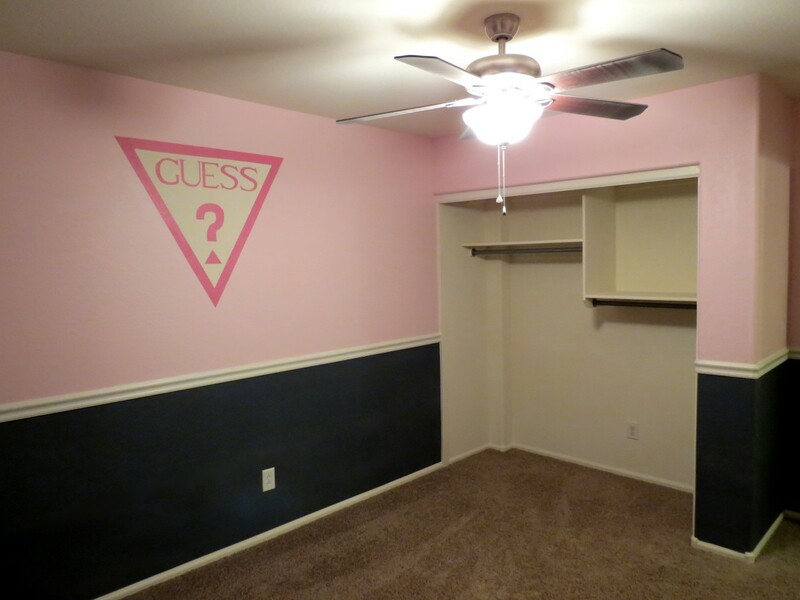 And because you know you want to see it, here is a picture of the finished room (yes I hand painted the Guess logo). Given that the average American bedroom has a floor area of 144sqft (12ft x 12ft) with 8ft high ceilings, you would lose approximately 0.17ft3 of space when you painted the walls. If you included the ceiling as well the total volume lost increases to 0.23ft3. This begs the question, how much paint would be required to literally fill an average sized bedroom? Well, this 12ft x 12ft x 8ft room would require 8,618 gallons of paint to fill and it would weigh over 43 tons. This would require 13,855 coats of paint and would likely take you just over 2 years of continuous painting to apply. Let's hope that you at least chose a good color. So Does a Room Get Smaller When You Paint It? Anne - I'm really glad to see that I'm not the only one whose wondered about this! Years ago I was stripping paint off the walls and ceiling in a fixer-upper and the thickness of the chips was about 1 mm. The original dimensions of the room were about 3.5 m wide by 4.5 m long by 2.5 high, so removing the paint freed up about 0.05575 cubic meters of space. I guess lots of other people wonder about this stuff too! toknowinfo - haha, I think I would rather do math than paint. To me there is just something so satisfying about solving problems and answering the questions that I wonder about. I don't get the same feeling from painting. Thanks for reading! watergeek - That sound like a lot of work but it sure sounds like it was worth it. I also prefer the walls of my home to have some life. White is just too boring. Thanks for reading! I have wondered this too, but I don't have the mathematical mind to figure it out, so thanks for doing that work for me. I would rather paint than do math anyway. I just finished painting a number of rooms, as well. My living room is really large and dark, so I painted two walls an intense, semi-gloss mustard color and the other two a light, flat cream. Then I painted all the trim bright, semi-gloss white. The gold gave the room warmth, the cream kept it feeling open, the semi-gloss brought in light, and the white trim brightened it up and made it look crisp. I love the final effect. Rob - Glad to hear that I'm not just crazy and that there are others out there wondering about this stuff too. This was really a fun hub to write. Thanks for reading. Painting this room was a lot of work. I do have to admit that my wife does have good taste. I was completely prepared to have a 100% pjnk room but having adding the denim wallpaper was a really nice touch. LOL - I was thinking the same thing, as I had to prime a hideous color and then apply a couple of coats to really cover the old paint. I'm sure primer takes even more space than the paint. At least you didn't have to cover over all of the pink! The pink and blue look good!